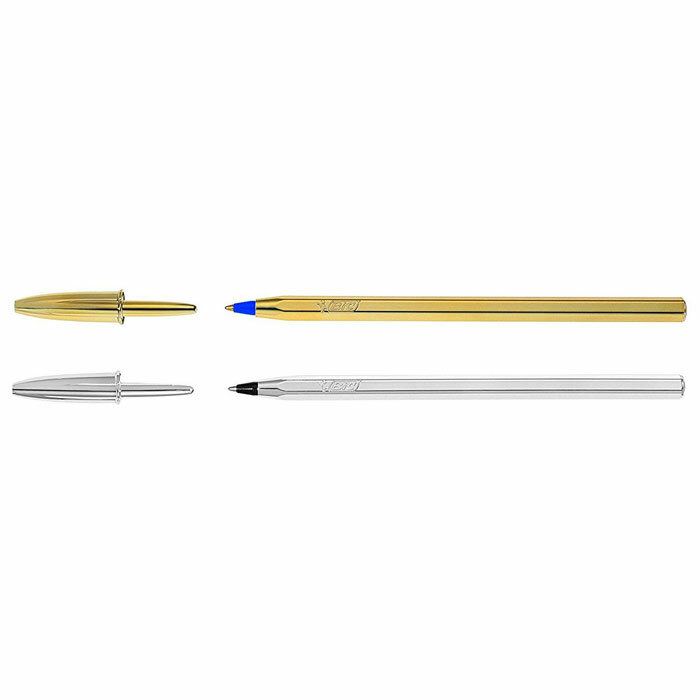 The Bic Cristal is an inexpensive disposable ballpoint pen produced by Société Bic of Clichy, Hauts-de-Seine, France. It was first released in December 1950 and is the best selling pen in the world. 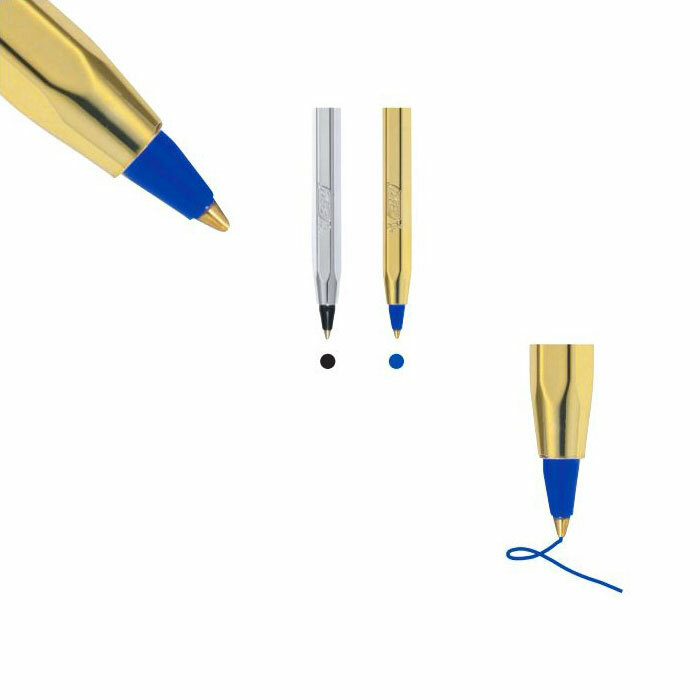 Recently, it has become the archetypal ballpoint pen and is now considered ubiquitous, to the extent that the Museum of Modern Art has made it a permanent part of its collection. 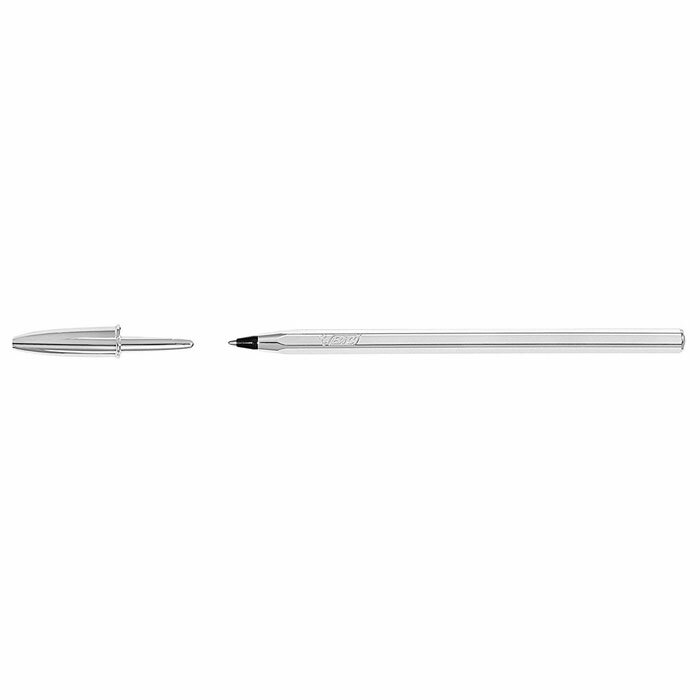 Its hexagonal form and design mimics a classic lead pencil. 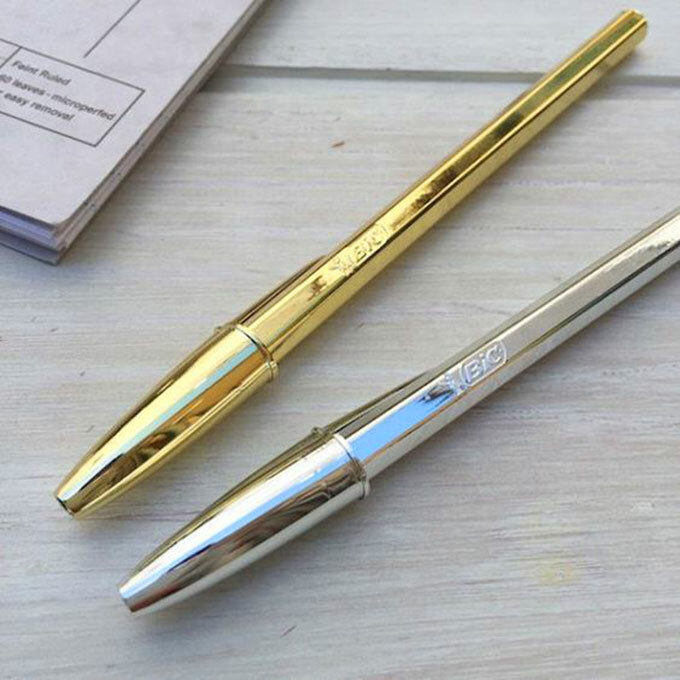 This limited edition, with a sleek mirror finish in gold and silver, brings a touch of glamour to your stationery tasks. 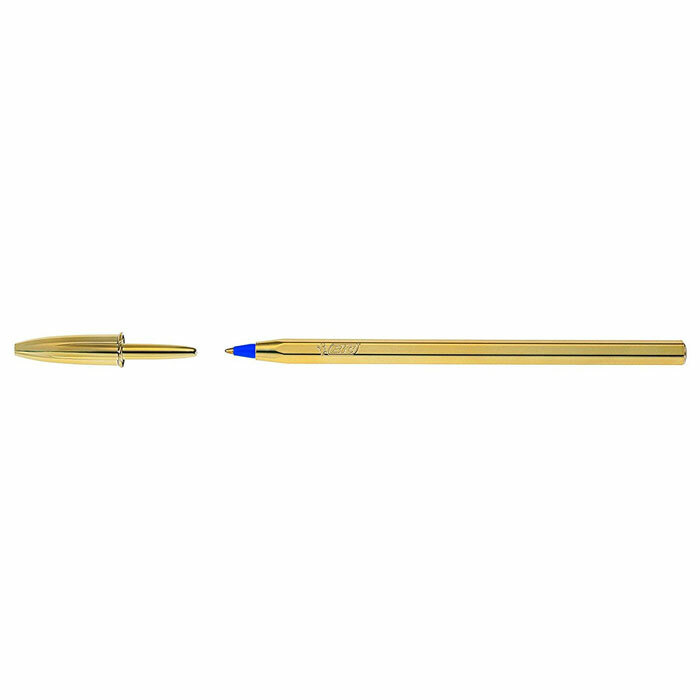 The gold Cristal BiC writes with blue ink. The silver Cristal BiC writes with black ink.